As you all likely know, TechCrunch Disrupt 2013 is going on in NYC as I type and there are a lot of interesting things coming out of the conference. While most of it doesn’t pertain to our children, I happened to run across a pretty awesome app that makes monitoring older children’s spending habits a lot easier to control (especially when it’s your money they are spending!). Purchext is a brand new app that is making the lines of communication between purchasing child and spending parent a lot less fuzzy. Whether you have a child away at college or a tween who gets a hefty allowance, making sure they are spending that money on non-questionable items is essential. 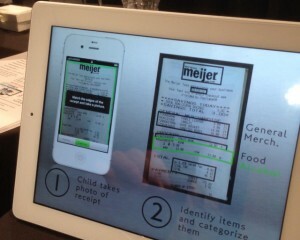 For each purchase a child makes, they must scan the receipt for the purchase into the app with their phone. If the parent approves the purchase, the amount of money listed on the receipt is deposited into the child’s account, essentially reimbursing them for the purchase. There is also the option of restricting initial purchases by setting up filters such as “allow only food”. 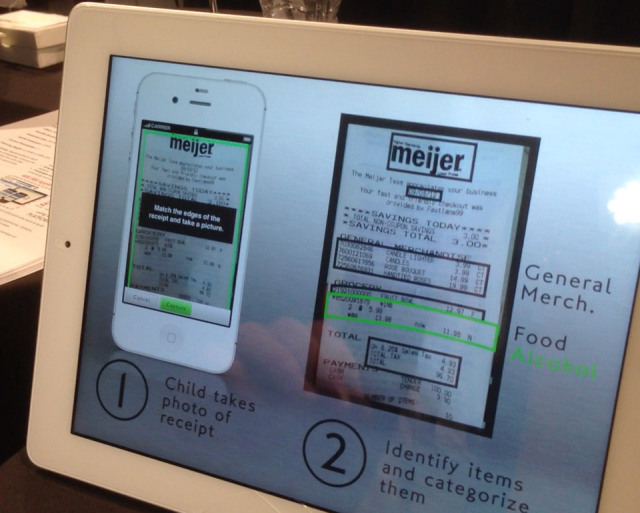 Purchext makes money management exponentially easier for the parent, all while teaching budgeting skills to the child. Although I am sure there are ways for children to get around submitting their receipts initially, there would eventually be missing money and no receipt, so the system is fairly abuse proof. I can see this app being helpful if you have an older child who is responsible for purchasing him or herself a meal during the week (think while at an away soccer game with their school) that have a bad habit of over-spending or buying junk instead. There is also the college kid/beer run scenario for which this app could apply as well. Either way, it allows parents to get a better handle on their child’s spending habits. Although it is debuting at TechCrunch Disrupt 2013 right now, Purchext is now available for use with a quick and easy signup. Click here to get started!